The 11th version of this event took place in Seoul on May 11. It was jointly organized by ProChile and ChilePork, an industry-specific brand that represents Chilean pork exporters. 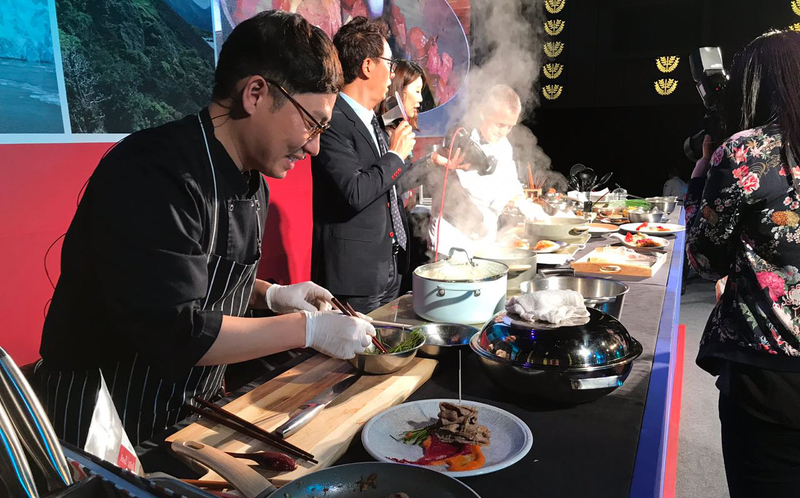 Its goal is to position Chilean pork in the Korean market, highlighting the qualities of this appetizing protein and the progress made and general situation of Chile’s pork industry. 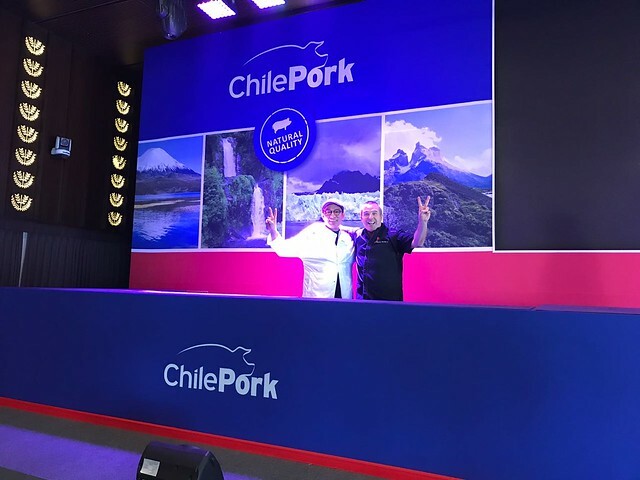 For 2018, ChilePork chose the theme of “Natural Quality” for the series of activities it organized for importers and members of the trade press. The objective was to showcase the attributes of Chile: its modern system of food safety and health and its status as a phyto- and zoosanitary island, all of which result in a healthy and delicious product. Marketing and Communications Manager at the Chilean Meat Exporters’ Association, ExpoCarnes, Pía Barros, emphasized the high level of turnout by local importers and the interest that the cooking demonstration had generated. “We are delighted with the results of this great event, which shows the high level of production achieved by Chile’s industry and the quality, food safety and versatility of Chilean pork cuts,” said Pía Barros. During ChilePork’s visit to Seoul, the Cooking Show was the activity that delighted the hundred guests who converged on the Banyan Tree Hotel. There a range of attractive Asian and Chilean dishes revealed just how versatile Chilean pork is. The goal of the event was to bring together our cultures, tastes, and flavors through cooking. Tony Oh, CEO of Tony’s Kitchen and Director of F&B Kitchen, who also worked at Michelin star-winning Italian restaurant Savini participated in the event. Chilean Chef Rodrigo Barañao cooked alongside him. Chef Barañao is known as the ambassador of Chilean pork and has written two cookbooks with recipes for preparing this delicious protein. One of the importers who came onto the stage to try Chef Barañao’s charquicán (meat and vegetable stew) made with pork collar said that he would like to eat this dish every time he visits Chile. He gave it a score of 100 points, which is the highest score in Korea and said that he was very satisfied with the trade relations between Korea and Chile. He also praised the level of trustworthiness and prestige that Chilean pork production has achieved. Meanwhile chef Tony Oh commented that the flavor and texture of Chilean pork is very similar to that of Korean pork. He added that this, as well as the prestige earned by Chilean pork with regard to food safety and quality, makes him prefer it to pork from elsewhere. We invite you to see the best photos from this fun event.